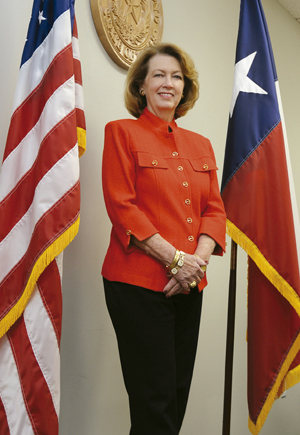 Continuing the Moore legacy of serving the citizens of Richmond, Mayor Evalyn Wendt Moore is currently working in the relief efforts at the Brazos River Flood Recovery Center, to aid victims of the Great Memorial Day Flood. Please join us for an update on our great city. Mayor Moore became the first female mayor of Richmond serving out the unexpired term of her late husband, Hilmar G. Moore, at the request of the city. Mayor Moore And, on historically took office at 4 p.m. on December 17, 2012, 63 years to the minute when the late Mayor Hilmar Moore took office in September of 1949. Mayor Moore has deep roots in Richmond ranging from her parents, Billie Hunter and Jack Wendt, as active community civic leaders on state and national levels to her grandfather Hunter P. Harris, a Fort Bend county judge. She was married to former Mayor Hilmar Moore for 29 years. who served as Mayor of City of Richmond for 63 years, the longest serving mayor in the United States until his passing in December of 2012.